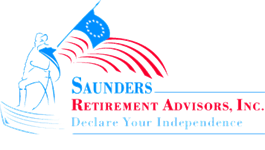 Useful Websites | Saunders Retirement Advisors, Inc.
Morningstar Managed Portfolios - One of the money management firms we are able to offer. Prudential- Learn how variable annuities can provide guaranteed retirement income. Transamerica - One of the many variable annuity companies we represent. Lincoln Financial Group- - Another of the many variable annuity companies we represent. Social Security Personal Account page - Enables you to create an online account and view your latest Social Security statement online. Social Security Benefit Estimator - Lets you see your monthly payment at various ages and test "what if" scenarios using other ages and various earnings amounts between now and your retirement date.